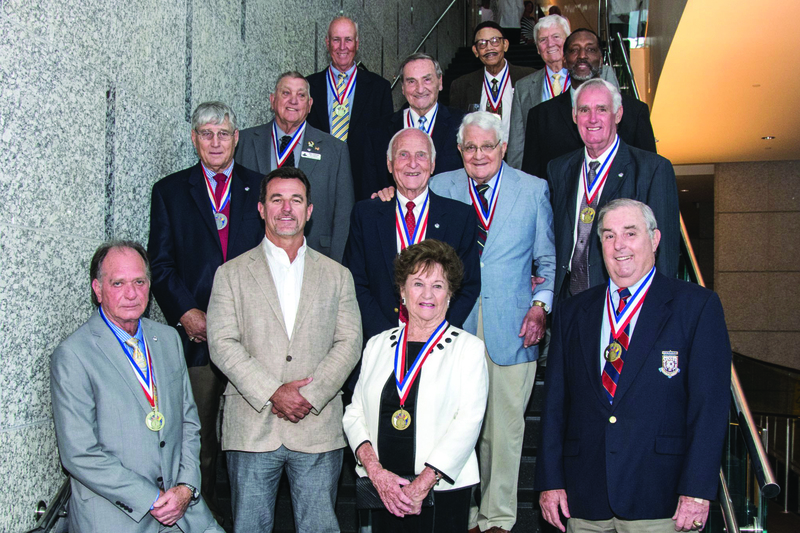 The Mobile Sports Hall of Fame Class of 2015—Karen Mayson Bahnsen, Mardye McDole, Lloyd Skoda, James Taylor, Erick Walder and Woody Woodall—was inducted during a ceremony and dinner held at the RSA Battle House Hotel on April 23, 2015. 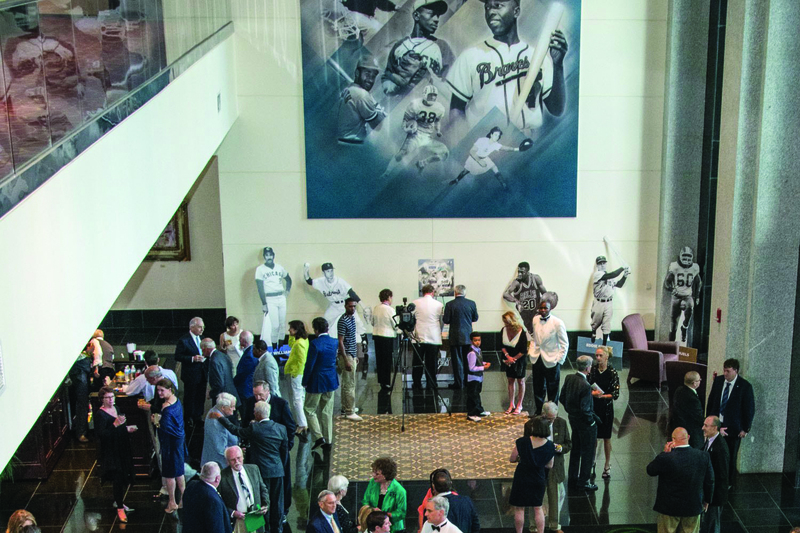 The evening began with cocktails in the lobby of the RSA Tower, the future home of the Legacy of Legends Museum, followed by the program and dinner in the Moonlight Ballroom. 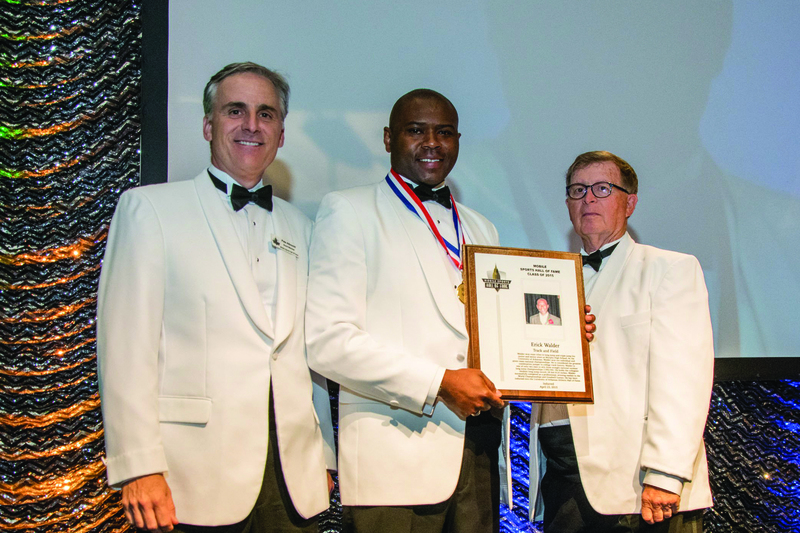 14 former inductees were in attendance, including Frank Bolling, Reggie Copeland, Buddy Lauten, Paul Crane and June Buckholtz Mayson, mother of 2015 inductee Karen Mayson Bahnsen. 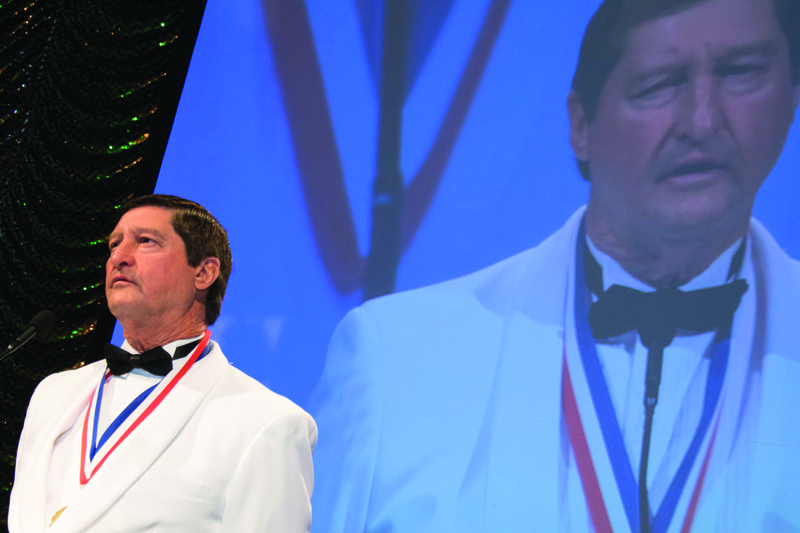 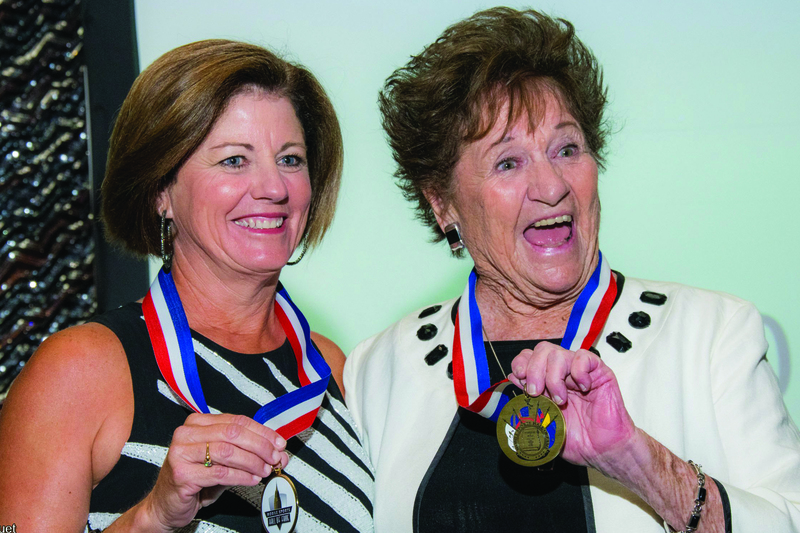 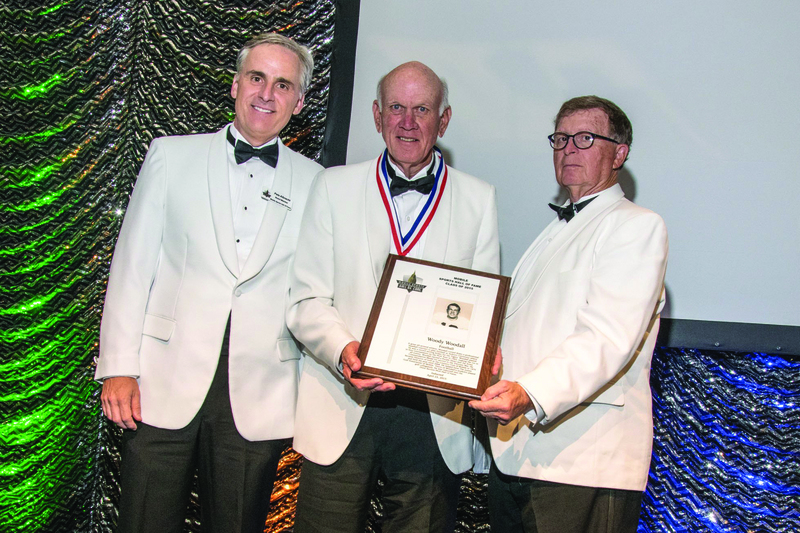 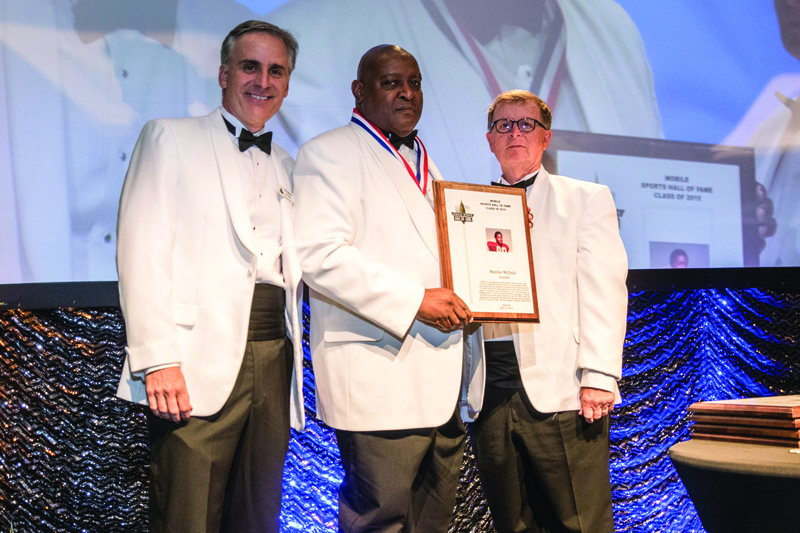 MSHOF President Peter Albrecht and Chairman Joe Gottfried presented medallions and plaques to this year’s honorees while more than 350 people looked on. 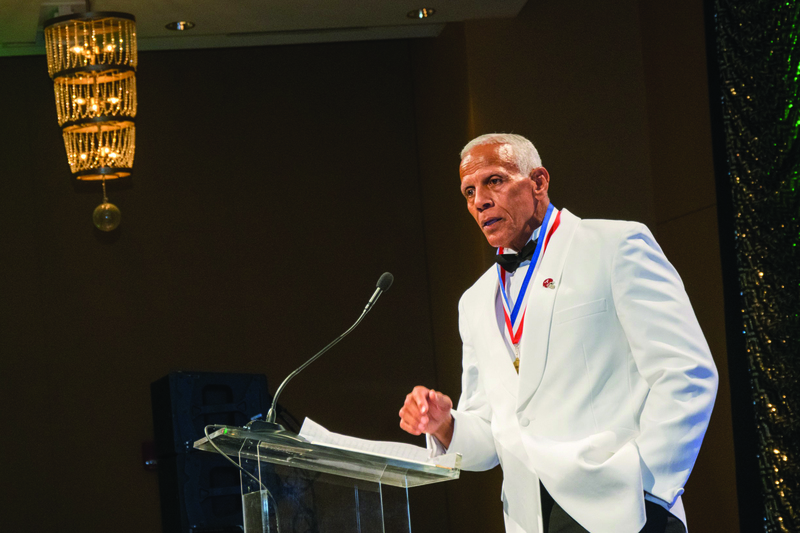 While this class of inductees range from football players to golfers, to track stars to baseball coaches, they all agreed that sports opened doors to opportunities they never would have had otherwise. 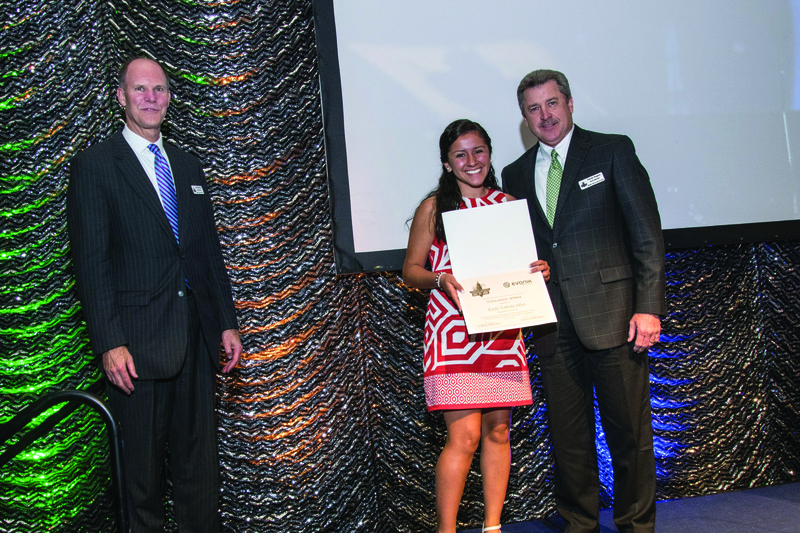 In addition to the Hall of Fame inductions, two Kearney Windham Scholarships, sponsored by Evonik and MSHOF, were presented to two outstanding students: Karla Silva from Theodore High School and Charlie Seiter from McGill Toolen High School. 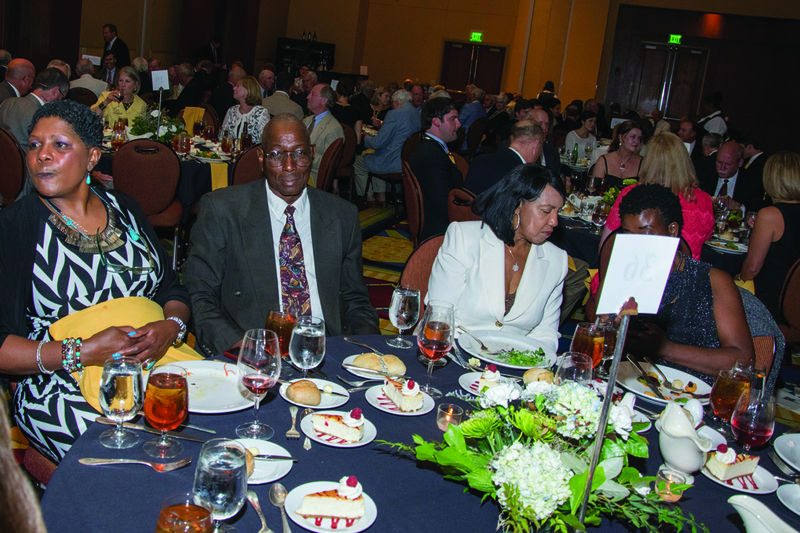 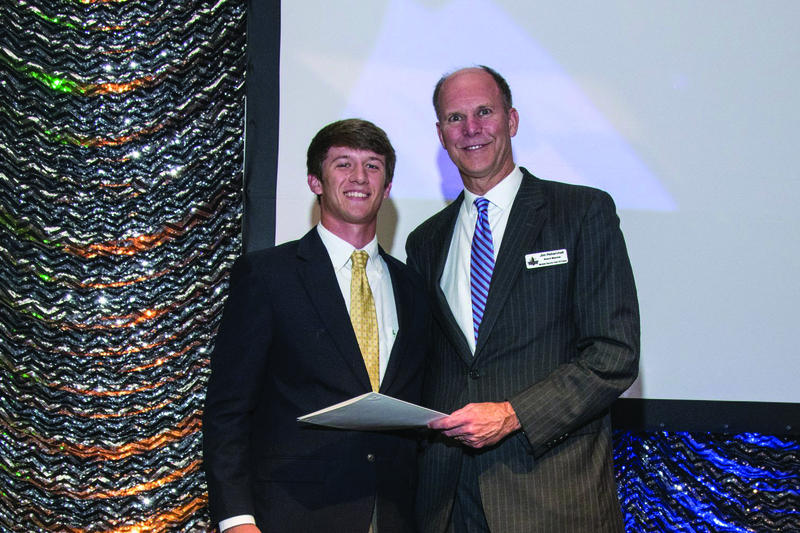 This year’s banquet was the best yet, thanks in part to our title sponsors, Alabama Power and Regions Bank, as well as Mississippi State University, Reese’s Senior Bowl, Louisiana State University, Evonik Corporation, Faith Academy, Bullard Automotive, Jones Walker, Go Daddy Bowl, Briskman and Binion, Mobile Fixture and The Country Club of Mobile. 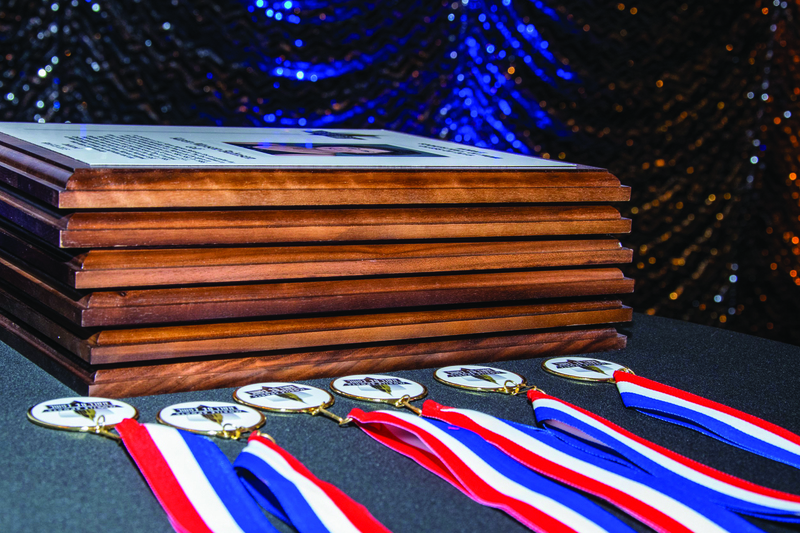 Special thanks also goes to Francia’s Formal Attire for providing tuxedos for the inductees.